All of these electrical, electronic and communication devices were found in an estate. As such, they are being sold as is. We have no idea how they work or if they work. Some appear to be new in original packaging and others are not. We will describe these items as best we can with our limited knowledge and will provide as many good photos as possible. These items are being sold as parts only and there are no returns or refunds. What you see is what you get, thus the lower than retail prices. If you have any questions, please ask. We will do our best to answer, again based on our limited knowledge. 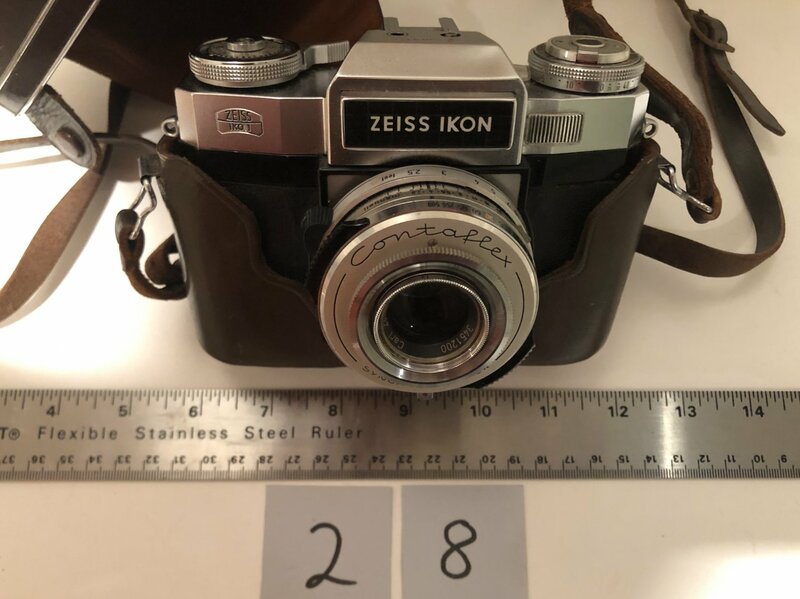 This is a vintage Zeiss Ikon 35 mm Contaflex Synchro-Compur camera with Leather Case. 2.8 50mm lens. Shutter works and film advance works. Leather case is in good condition with good strap. The item in the photos is exactly what you will receive. Please see disclaimer note above.